Project Alpha strives to be the catalyst supercharging the growth of the best early-stage startups by helping to defray operational costs, while providing mentorship and potential funding. Aspiring startups can submit their applications online and SeedPlus and AWS will pick five startups from the submissions to be the finalists. Launching a startup can be a stressful thing to do especially when you do not have money or experience. You might end up bootstrapping it all the way, but if you could secure funding, that could be a load off your mind to allow you to grow faster. SeedPlus, a seed fund in Southeast Asia, and Amazon Web Services (AWS), a widely used cloud-based platform, have teamed up to bring Project Alpha. 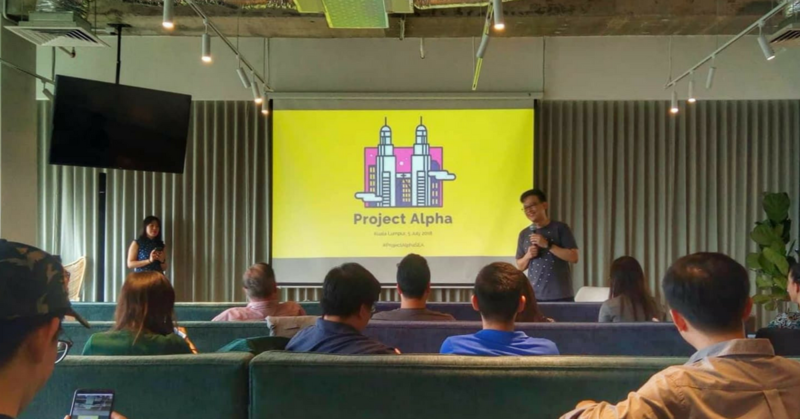 Project Alpha has just been launched in Kuala Lumpur and will be launching in the following months in Jakarta, Bangkok and Singapore. Access to business and technical experts from AWS and SeedPlus. A US$25,000 activate portfolio package from AWS. Market recognition from AWS and SeedPlus as a high-growth, high-potential ASEAN startup. A potential seed round funding from SeedPlus. These startups will be assigned two primary mentors for three months—one each from AWS and SeedPlus—and be given access to business and technical experts from AWS and SeedPlus. To apply, head over to their website and fill up a five page pitch deck. If you are unsure of what to include in your pitch deck, download the template here. The template highlights all the relevant information they are looking for but feel free to add anything that you would think will help Project Alpha know more about your team, your company or your market better. Your HQ or main operations must be in a Project Alpha city (i.e. Kuala Lumpur, Bangkok, Jakarta, Singapore). You have previously raised no more than US$250,000 in startup funding. Do submit a 5 page PDF deck in English using the provided pitch deck template. All applications submitted after the closing date will not be reviewed. Submission for Kuala Lumpur-based startups is no later than July 19. You can find out more about Seedplus on their website here.